GM is now the top auto producer in Mexico, dealerships see the writing on the wall, the SEC is having a look at Nissan, and Amtrak is still screwed. All of this and more in The Morning Shift for Monday, Jan. 28, 2019. 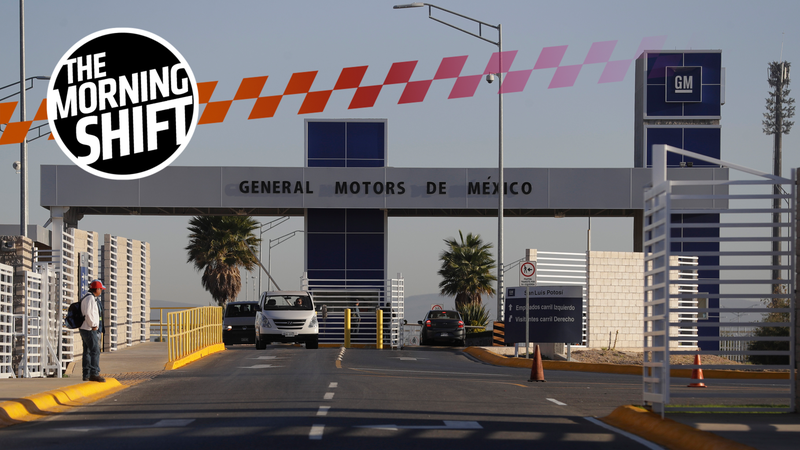 General Motors is now the top automotive producer in Mexico, with production south of the border making up a quarter of the company’s output this year, Automotive News reports. The news comes after the American automaker announced a shutdown of five of its plants in the U.S. and Canada, with plans to layoff thousands of workers late last year. Overall production in Mexico actually dropped for the first time in years, just one percent, but is expected to remain stable going forward. That’s good news to the accountants at GM, but probably bad news for just about everybody else. U.S. auto dealers are starting to complain about the amount of luxury dealership improvements automakers are pushing on them, as the return-on-investment of spending millions renovating an already-nice store seems slimmer and slimmer as shoppers turn to online shopping, Automotive News reports. The issue comes down to brand presence, where automakers update the image of the brand every few years, and want their dealerships to reflect that new image. The issue is that dealership renovations cost into the millions of dollars, and dealers claim they don’t see the return in it. This leads to conflict, sometimes leading to dealers dropping the dealership altogether. The investments also draw more scrutiny because, with pickup and delivery services and steps toward online transactions, customers have fewer reasons to spend time in a showroom, said Bob Tasca, president of Tasca Automotive Group in Cranston, R.I.“I’m just concerned that the future of our business is changing, and we have to pay attention to the change,” Tasca said. After all, it’s much cheaper to manage a dealership website than it is to change the tile color, knock out a wall, and throw in floor to ceiling windows on a building. It’ll be interesting watching dealers and automakers come to terms with the rise of online shopping. Ghosn has denied any wrongdoing, but has since been ousted as Chairman of both Nissan and Renault, where he once oversaw the two companies’ alliance. The official charge claims Ghosn and Nissan failed to disclose around $80 million in compensation. Amtrak has started work on $3.4 billion in renovations to its Northeast Corridor, the busiest in the country, with improvements expected to quicken travel times and make train service more reliable. Station renovations, high-speed track, power lines and signals — all decades-deferred work that has begun — will be for naught if century-old infrastructure under the Hudson River crumbles. In all, Amtrak needs at least $37 billion for improvements from New York to Washington, D.C., with the bulk of it — $30 billion — for Gateway, which would replace a rickety bridge, build a second tunnel linking New Jersey to Manhattan and overhaul an existing one whose days are numbered. The issues are numerous. The newest Amtrak trains are capable of 186 mph on a straight, but the speed limits over long stretches of the corridor are still as low as 30 mph due to the aging infrastructure. Copper wire in some of the tunneling dates back to the 1930s, and causes unreliability in service when warm air cause the cables to sag and lose connection. Three bridges from the early 1900s are all due for replacement, with zero funding yet secured, and with two of them lacking any sort of replacement research, like environmental impact. So while small improvements to stations and signals will make the route more reliable in the near-term, Amtrak has a lot of long-term problems to face, with a big argument over who has to fund all of it looming. If they don’t do enough in time, the Northeast Corridor Commission claims that a day of disruption on the Boston-to-Washington route could cost up to $100 million in productivity and congestion impact, according to Bloomberg. ﻿In September, Spain’s government gave ride-hailing companies four years to comply with regulation granting them just one new license for every 30 taxi licenses. More protests are expected as the taxi drivers’ push for even stricter regulations continues. If it works in favor of the taxis, some ride-hailing companies claim they’ll be forced to leave the city. Neutral: Does the Dealer Experience Matter Anymore? Does a dealership spending millions of dollars to fit an automaker’s luxury appearance matter anymore, or should online shopping do most of the heavy lifting now?